What is the best DVD ripper that can rip DVD movies including subtitle on Mac OS X? I need to rip my DVD collection to disk for use in a media center (MythTV). Unfortunately I have a number of DVDs that have forced subtitles that are not included in the vlc rip. Da Vinci Code is the perfect example, I have not figured out how to get VLC to rip subtitles at all. Any suggestions? What is the best DVD ripper that can rip DVD movies including subtitle? And how exactly? There are a lot of great DVD Ripping software for Mac, and it's next to impossible to make a broad "best" statement that applies to everyone, but that doesn't stop the powerful, yet easy-to-use iFunia DVD Ripper for Mac from winning our hearts for the best DVD ripper to rip DVD movies including subtitle on Mac OS X. Read on to see why. 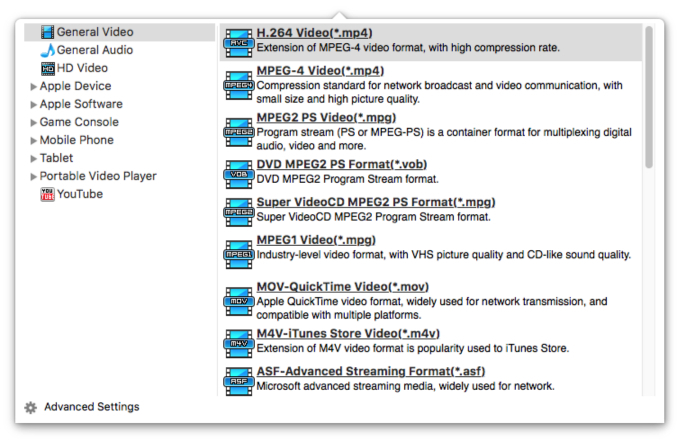 Rip and convert DVD to MP4, AVI, WMV, MOV, FLV, M4V, H.264/AVC, etc. Rip DVD to HD video such as HD MOV, HD FLV, HD AVI, etc. Extract audios from DVD to MP3, WMA, WAV, AAC, etc. Free to select soundtrack and subtitle for video and DVD movies. Insert the DVD disk into the DVD drive and open the program. Click the media icon at the upper right corner of the app and open the Media Browser to import the DVD files which you want to convert. Regular DVD movies usually have DVD subtitles and audio tracks such as English, French, German, etc. After a DVD movie is loaded, you can select any available DVD audio track and subtitle you'd like to include from the drop-down list. You can select your desired output format from the output formats list in "Output Format" drop-down list. You may convert DVD movie to different video formats for video editing or playback on your mobile device, such as iPod, iPhone, PSP, cellphone, etc. The best solution for DVD movie backup would be to compress it to progressive lossy formats like Xvid. Here we set the output video format to XviD AVI format which provides a best compromise between file size and video quality. Select XviD output format and specify a directory on your computer to save the output files. Hit the conversion button and leave this smart DVD Ripper for Mac to do the rest for you! The convert progress bar shows you how much of the encoding is completed. Keep your DVDs safe! Movies stored safely in your computer can't get lost, scratched or broken. Find movies faster! Use your Mac's built in search tool, Spotlight, to find a movie in your collection... instantly. Easily organize your movies! Moving files around on your computer is a lot easier than alphabetizing shelves full of DVDs. Simplify entertainment on the go! Why carry around bulky DVD cases or disc wallets when you don't have to? Editing your videos! The videos ripped from DVDs can be used for video editing in Windows Movie Maker & Final Cut Studio. Use your laptop longer! Laptops use a lot more juice when they're spinning a DVD and a hard drive.